I just bought on april 30th 2014 proud owner here. I bought this car from a 28 year old guy that had this car with him for 14 years with his family. he has had this thing sitting for approximately 2 years in texas heat and there's spots of rust. I know I have alot of things I need to do and fix so this is my build a little about me. I am 31 years old I am a registered nurse. before i became a nurse I was a mechanic for 5 years general maintenance and trouble shooting. Im up to the point in my life where everything is in its place so i wanted to work on cars as my main hobby. I am planning on getting married in a year so majority of my funds will go to my wedding plans. Even though that is going to happen i will still have funds to fix this car up. here are my plans -fix all the rust or prevent rust from spreading. 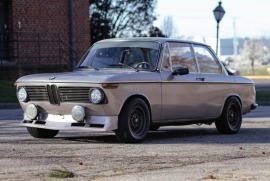 -drop an m20 engine and convert my 4 speed to 5speed -keep the regular factory paint color and keep it classy -do some suspension work to autocross someday -put factory bbs rims 16's max not a fan of stance style either here is how the car looked in 2005 from pics by the PO. lthough it looked nice i dont think the PO dealt with the rust issues before hand. He told me he just did a paint job and made it look nice. This is how the car sits right now lucky me he had 320i recaro seats & 6 series rear seats in! Gutting The Interior Not Fun!